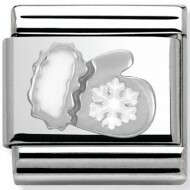 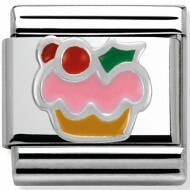 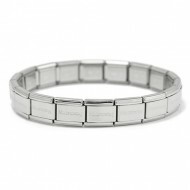 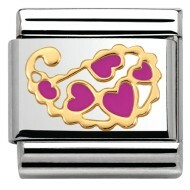 It allows you to easily add and remove the charms on your Nomination bracelet. 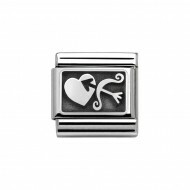 Simply add this Nomination charm tool to your basket and when you spend £30 or more on Nomination charms and Nomination charm bracelets, the charm tool will be discounted at the checkout stage. 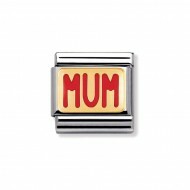 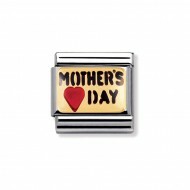 Nomination Classic Composable Gold Daughter Engraved Signs Charm. 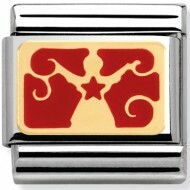 Have fun creating your Nomination modular bracelet. 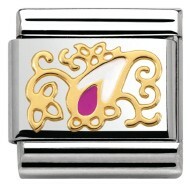 Choose the links you like the best and give life to a unique piece of jewellery. 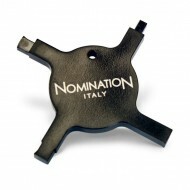 Composable Nomination Classic Gold Engraved Signs Italy Charm, a stainless steel base link with 18ct Gold. Nomination Classic Composable Gold Welsh Writing Cymru Charm. 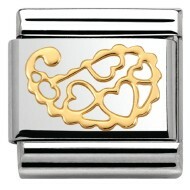 Have fun creating your Nomination modular bracelet. Choose the links you like the best and give life to a unique piece of jewellery. 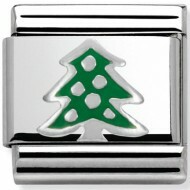 Nomination Classic Composable Gold Welsh Cymru Charm, a stainless steel base link with 18ct Gold. 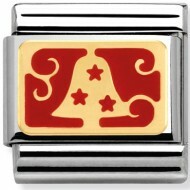 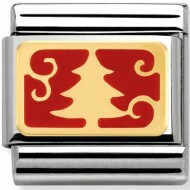 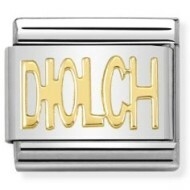 Nomination Classic Composable Gold Welsh Writing Diolch Charm. 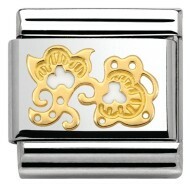 Have fun creating your Nomination modular bracelet. Choose the links you like the best and give life to a unique piece of jewellery. 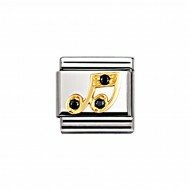 Composable Nomination Classic Gold and Cubic Zirconia Animals Black Cat Charm, a stainless steel base link with 18ct Gold and Enamel. 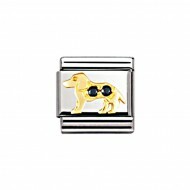 Composable Nomination Classic Gold and Cubic Zirconia Animals Black Dog Charm, a stainless steel base link with 18ct Gold and Enamel. Composable Nomination Classic Gold and Cubic Zirconia Animals Colour Mix Fish Charm, a stainless steel base link with 18ct Gold and Enamel. Composable Nomination Classic Gold and Cubic Zirconia Animals Green Frog Charm, a stainless steel base link with 18ct Gold and Enamel. Composable Nomination Classic Gold and Cubic Zirconia Animals Light Blue Dolphin Charm, a stainless steel base link with 18ct Gold and Enamel. Composable Nomination Classic Gold and Cubic Zirconia Animals Pink Bear Charm, a stainless steel base link with 18ct Gold and Enamel. Composable Nomination Classic Gold and Cubic Zirconia Animals Pink Butterfly Charm, a stainless steel base link with 18ct Gold and Enamel. Composable Nomination Classic Gold and Cubic Zirconia Animals Pink Cat Charm, a stainless steel base link with 18ct Gold and Enamel. Composable Nomination Classic Gold and Cubic Zirconia Animals Red Butterfly Charm, a stainless steel base link with 18ct Gold and Enamel. Composable Nomination Classic Gold and Cubic Zirconia Animals Red Cat Charm, a stainless steel base link with 18ct Gold and Enamel. Composable Nomination Classic Gold and Cubic Zirconia Animals Red Elephant Charm, a stainless steel base link with 18ct Gold and Enamel. 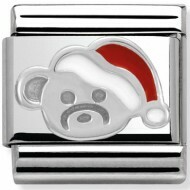 Composable Nomination Classic Gold and Cubic Zirconia Animals White Bear Charm, a stainless steel base link with 18ct Gold and Enamel. 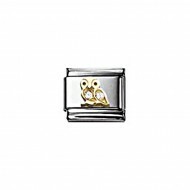 Composable Nomination Classic Gold and Cubic Zirconia Animal White Owl Charm, a stainless steel base link with 18ct Gold and Enamel. 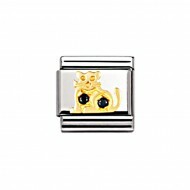 Composable Nomination Classic Gold and Cubic Zirconia Animals White Cat Charm, a stainless steel base link with 18ct Gold and Enamel. Composable Nomination Classic Gold and Cubic Zirconia Animals White Dog Charm, a stainless steel base link with 18ct Gold and Enamel. Composable Nomination Classic Gold and Cubic Zirconia Animals White Dolphin Charm, a stainless steel base link with 18ct Gold and Enamel. Composable Nomination Classic Gold and Cubic Zirconia Animals White Elephant Charm, a stainless steel base link with 18ct Gold and Enamel. Composable Nomination Classic Gold and Cubic Zirconia Animals White Fish Charm, a stainless steel base link with 18ct Gold and Enamel. Composable Nomination Classic Gold and Cubic Zirconia Animals White Ladybug Ladybird Charm, a stainless steel base link with 18ct Gold and Enamel. Composable Nomination Classic Gold and Cubic Zirconia Black Pave Charm, a stainless steel base link with 18ct Gold and Cubic Zirconia. Composable Nomination Classic Gold and Cubic Zirconia Blue Pave Charm, a stainless steel base link with 18ct Gold and Cubic Zirconia. 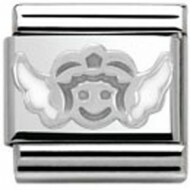 Composable Nomination Classic Gold and Cubic Zirconia Daily Life Angel Charm, a stainless steel base link with 18ct Gold and Enamel. Composable Nomination Classic Gold and Cubic Zirconia Daily Life Bag Charm, a stainless steel base link with 18ct Gold and Enamel. 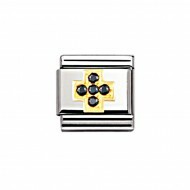 Composable Nomination Classic Gold and Cubic Zirconia Daily Life Black Cross Charm, a stainless steel base link with 18ct Gold and Enamel. 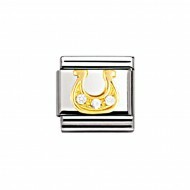 Composable Nomination Classic Gold and Cubic Zirconia Daily Life High Heel Shoe Charm, a stainless steel base link with 18ct Gold and Enamel. Composable Nomination Classic Gold and Cubic Zirconia Daily Life Key Charm, a stainless steel base link with 18ct Gold and Enamel. Composable Nomination Classic Gold and Cubic Zirconia Daily Life Light Blue Cross Charm, a stainless steel base link with 18ct Gold and Enamel. Composable Nomination Classic Gold and Cubic Zirconia Daily Life Light Blue Star Charm, a stainless steel base link with 18ct Gold and Enamel. Composable Nomination Classic Gold and Cubic Zirconia Daily Life Lily Charm, a stainless steel base link with 18ct Gold and Enamel. Composable Nomination Classic Gold and Cubic Zirconia Daily Life Moon Charm, a stainless steel base link with 18ct Gold and Enamel. 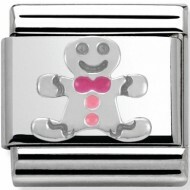 ComposableNomination Classic Gold and Cubic Zirconia Daily Life Pink Cross Charm, a stainless steel base link with 18ct Gold and Enamel. Composable Nomination Classic Gold and Cubic Zirconia Daily Life Pink Ribbon Charm, a stainless steel base link with 18ct Gold and Enamel. Composable Nomination Classic Gold and Cubic Zirconia Daily Life Pink Star Charm, a stainless steel base link with 18ct Gold and Enamel. 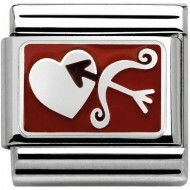 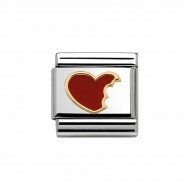 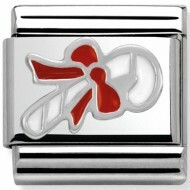 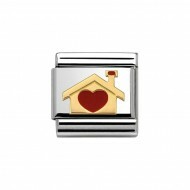 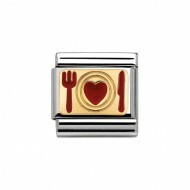 Composable Nomination Classic Gold and Cubic Zirconia Daily Life Red Cross Charm, a stainless steel base link with 18ct Gold and Enamel. Composable Nomination Classic Gold and Cubic Zirconia Daily Life Red Queen Crown Charm, a stainless steel base link with 18ct Gold and Enamel. 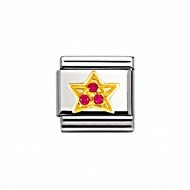 Composable Nomination Classic Gold and Cubic Zirconia Daily Life Red Star Charm, a stainless steel base link with 18ct Gold and Enamel. Composable Nomination Classic Gold and Cubic Zirconia Daily Life Skull Charm, a stainless steel base link with 18ct Gold and Enamel. Composable Nomination Classic Gold and Cubic Zirconia Daily Life White Cross Charm, a stainless steel base link with 18ct Gold and Enamel. Composable Nomination Classic Gold and Cubic Zirconia Daily Life White King Crown Charm, a stainless steel base link with 18ct Gold and Enamel. Composable Nomination Classic Gold and Cubic Zirconia Daily Life White Queen Crown Charm, a stainless steel base link with 18ct Gold and Enamel. Composable Nomination Classic Gold and Cubic Zirconia Daily Life White Shooting Star Charm, a stainless steel base link with 18ct Gold and Enamel. Composable Nomination Classic Gold and Cubic Zirconia Daily Life White Star Charm, a stainless steel base link with 18ct Gold and Enamel. Composable Nomination Classic Gold and Cubic Zirconia Daily Life White Sun Charm, a stainless steel base link with 18ct Gold and Enamel. Composable Nomination Classic Gold and Cubic Zirconia Daily Life Yellow Shooting Star Charm, a stainless steel base link with 18ct Gold and Enamel. Composable Nomination Classic Gold and Cubic Zirconia Daily Life Yellow Sun Charm, a stainless steel base link with 18ct Gold and Enamel. Composable Nomination Classic Gold and Cubic Zirconia Green Pave Charm, a stainless steel base link with 18ct Gold and Cubic Zirconia. Composable Nomination Classic Gold and Cubic Zirconia Light Blue Pave Charm, a stainless steel base link with 18ct Gold and Cubic Zirconia. Composable Nomination Classic Gold and Cubic Zirconia Lilac Pave Charm, a stainless steel base link with 18ct Gold and Cubic Zirconia.